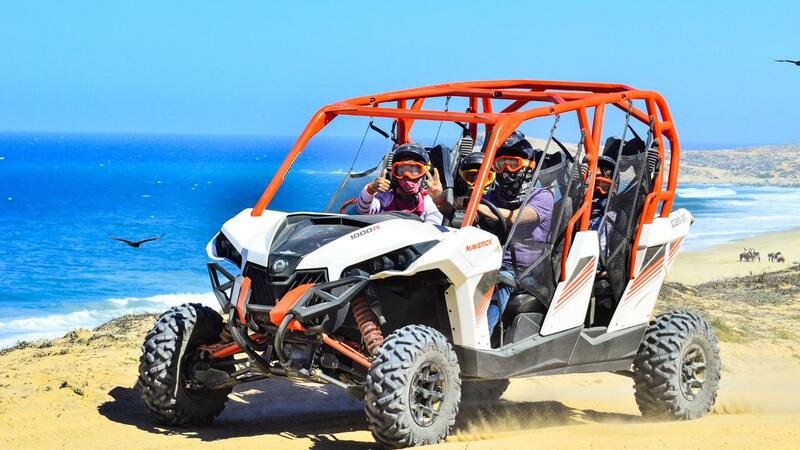 Enjoy our new exclusive route that explores Los Cabos’ beaches, desert landscapes, sand dunes, mountains, and gorgeous views of the Pacific Ocean. During the season, it’s possible to enjoy whale watching from the various rest stops we take. 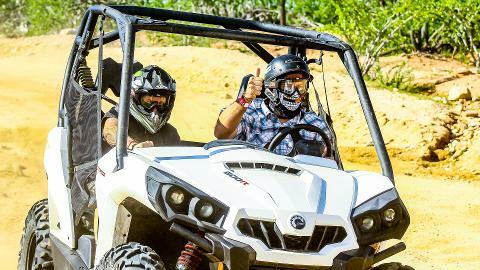 You’ll have the chance to navigate your very own premium UTV through the beaches of Margaritas. 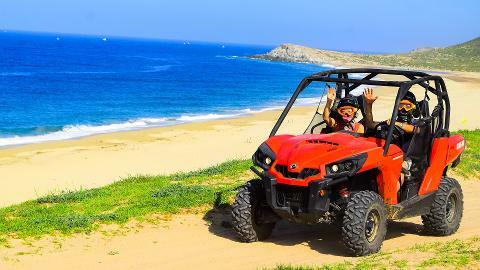 Feel the rush of fresh air and ocean breeze touch your face while speeding through the beach while enjoying the site of the waves crashing down. You’ll travel through one of the most beautiful places in the world “The Baja Desert.” While exploring “The Baja Desert”, you’ll see over 50 different kinds of cactus, many of them endemics of the Baja Peninsula, and also many different kind of animals like the famous road runner, fox, and deer. This is a guided tour, no experience is required to partake.